An attractive and stylish upright commercial display freezer, boasting a large 365ltr usable capacity and an energy-saving double glazed door. 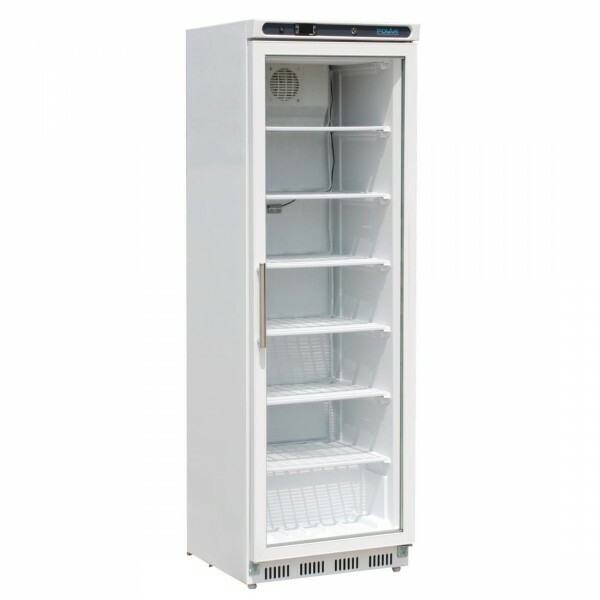 Specifically designed for effective merchandising and display, this freezer features six sturdy shelves for storage versatility and lockable door for stock security. The rear fixed castors ensure manoeuvrability, making the freezer easy to clean and position. Ideal for convenience stores, service stations and other similar retail outlets.